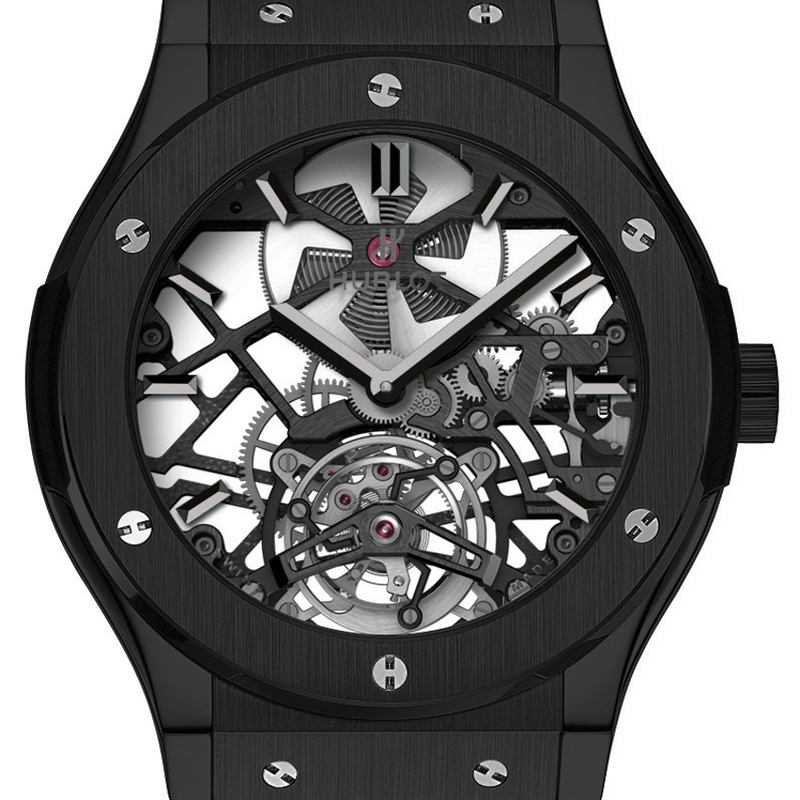 The latest new release from Hublot radiates a powerful visual presence. The Tourbillon Squelette Black Ceramic remains true to the brand’s identity codes, including a black monochrome design, while displaying a slimmer profile that gives it a more classic touch. But if there is one brand that knows how to combine tradition with the future, Hublot is definitely it! 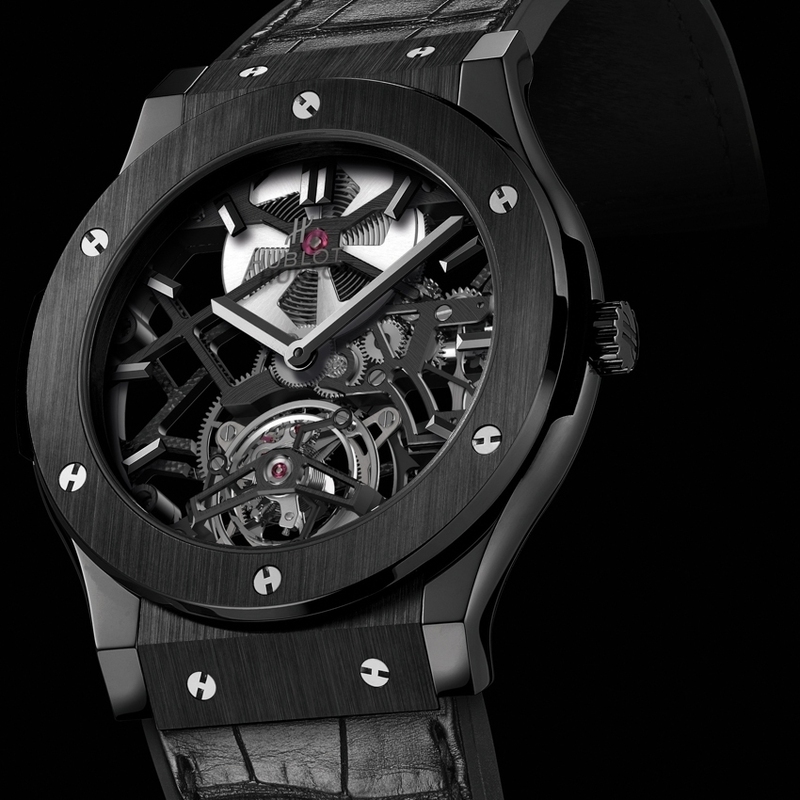 The openworked movement entirely designed, developed and produced by the Hublot watchmakers is resolutely graphic. The polished and satin-brushed black ceramic case radiates a sophisticated, contemporary appeal. And the most beautiful of all horological complications – the tourbillon – is revealed in all its splendour at 6 o’clock. In a nod to brand history, the hands echo the design of the very first Hublot watches, providing a fine demonstration of fusion between past and present, behind hand-crafted expertise and creative vision. 99-piece limited series. Mechanical hand-wound, openworked Manufacture MHUB6010.H1.1 calibre, tourbillon, 155 parts, 19 jewels, approx. 120-hour power reserve.